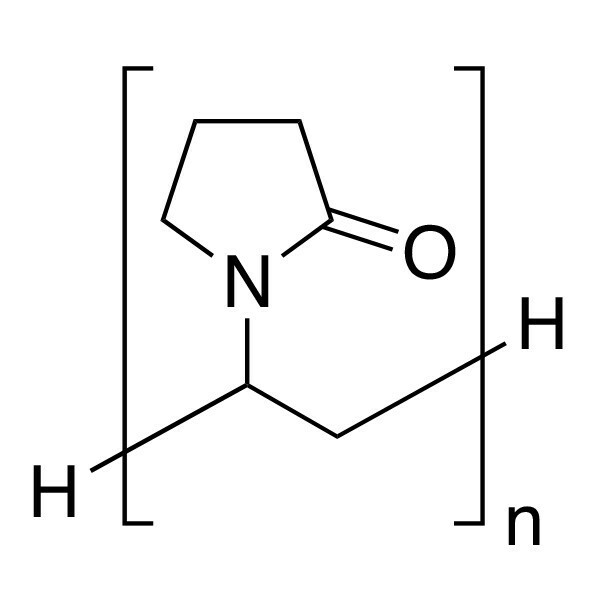 Poly(N-vinylpyrrolidone), MW 4,000 - 6,000 | Polysciences, Inc. This low molecular weight version of Poly(N-vinylpyrrolidone) allows the user to obtain maximum dispersive properties with the polymer but at lower solution viscosity than the higher molecular weight siblings. For example, a 10% w/w solution of the 4,000 - 6,000K molecular weight polymer in water has a measured Brookfield viscosity of under 6,000 mPa.s at 25 degrees C.